If you or a family member has suffered a traumatic brain injury or a spinal cord injury due to a serious accident, you are not alone. 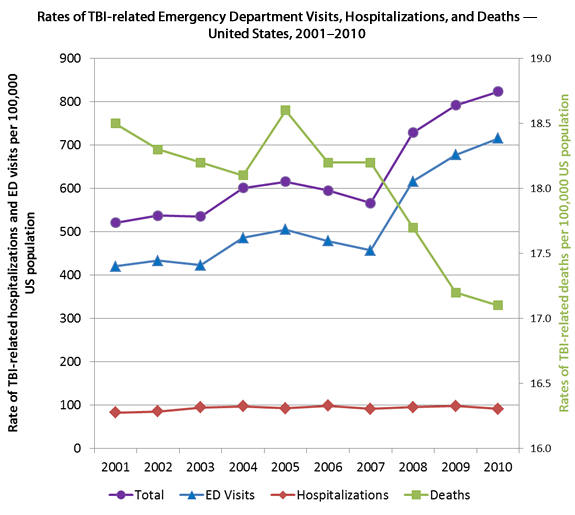 The rate of head-trauma related Emergency Room admissions and hospitalizations has risen sharply over the past several years. This may be due in part to better awareness and recognizing symptoms; however, one thing remains true. More Americans than ever before are being treated for head and brain injuries each year. Any major injury can cause undue stress for a family, and brain and spinal cord injuries can be some of the most traumatic injuries a family may have to endure. If you or a family member suffered severe brain or spinal trauma in an accident that you belive was caused by someone else’s negligence, the frustration—and even anger—you’re feeling is justified. Depending on the prognosis, there’s a chance that your family’s life will be dramatically and permanently altered. Our personal injury attorneys are here to help. Medical bills accumulate quickly, and the time required to make a full recovery from this type of injury is unpredictable. You can receive compensation for your bills and for your suffering; our team of experienced spine and brain injury lawyers is dedicated to protecting the rights of innocent victims throughout Kansas City and beyond. The number of Emergency Room visits continues to rapidly climb. A TBI may be more survivable than it was a decade ago, but we don't seem to be suffering any fewer of them. The increased incidence may be due in part to awareness efforts dedicated to educating people about the dangers of head injuries, but the results remain the same: a staggering number of hospitalizations each year for head injuries alone. The National Spinal Cord Injury Statistical Center reports that there are approximately 12,500 spinal cord injuries per year. Car accidents are the #1 cause of spinal cord injuries, accounting for nearly 40% of all spinal injuries. Reduced or permanently damaged motor function. Loss of coordination/balance. Debilitating headaches. Nerve damage. Paralysis. These are all common injuries and effects of injuries to your brain or spine. It is true that many side effects subside over time, and that not every injury will result in these often life-long effects, but each accident carries the chance of altering someone’s life forever. If the tragedy of a TBI or spinal cord injury has been inflicted upon your family, we urge you to reach out to our compassionate and dedicated team of attorneys to learn more about the possibility of legal recourse. At Kansas City Accident Injury Attorneys, we’re dedicated to protecting the rights of injured victims and securing for you both the justice and the compensation to which you’re entitled. If your life has been turned completely upside down due to an injury that you or your loved one suffered, we may be able to help. The road forward may be long and difficult, but you don’t have to go it alone. From our offices in Kansas City, Overland Park, Lee’s Summit, and Parkville, we’re able to serve all of Kansas and Missouri. Call us today at 816-471-5111 to learn more about your legal rights. ?How much does it cost for long-term care of a spinal cord injury? ?How can I help my loved one accept his spinal cord injury diagnosis? ?How can a car crash result in a spinal cord injury?